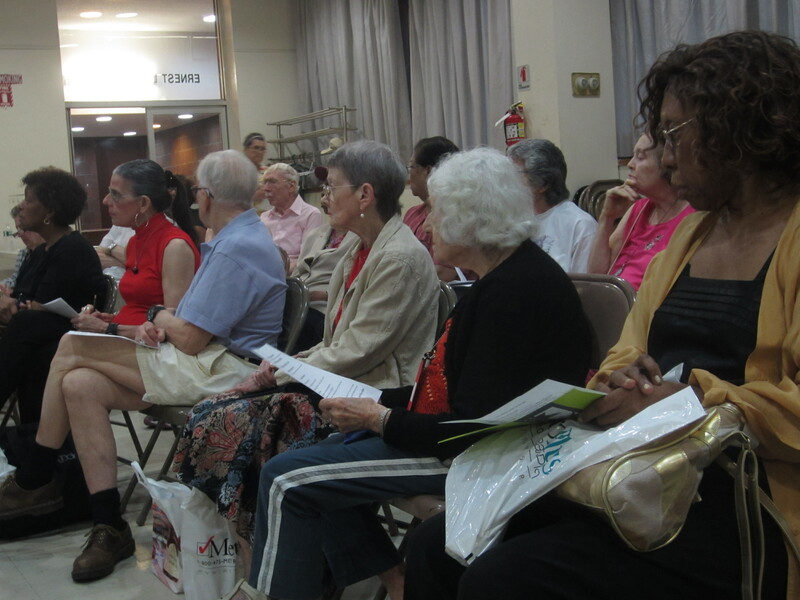 With the worst of hurricane season yet to come, since activity in the Atlantic picks up the most from August through October, the Office of Emergency Management offered a presentation for the East Midtown Plaza senior committee last Tuesday evening. 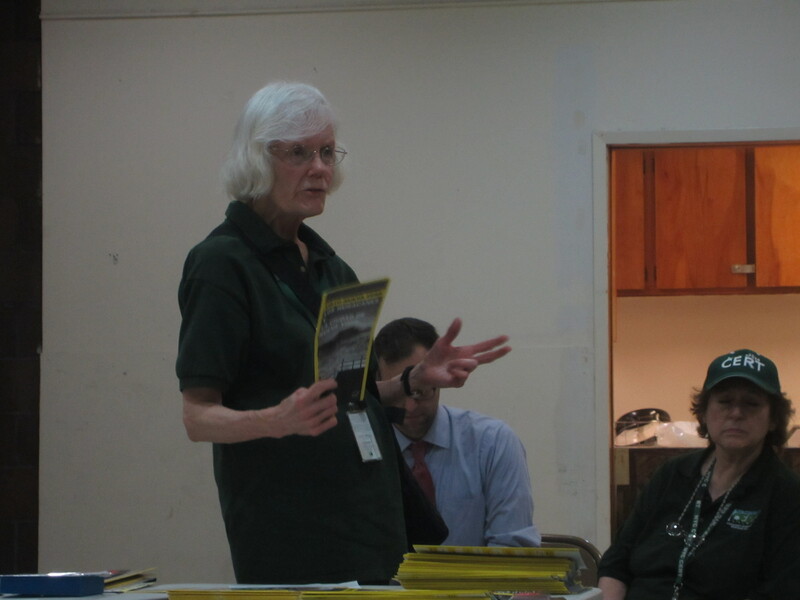 John Greenwood, a Human Services Planning Specialist for the OEM, and members of Community Board 6’s Community Emergency Response Team (CERT) explained the importance of emergency preparedness for seniors, including evacuation protocol in the event of a disaster and the new hurricane zones, at the monthly meeting. Greenwood noted that the hurricane guide changed after Hurricane Sandy and that instead of three lettered zones, there are now six numbered zones. Committee co-chair Jeanne Poindexter added that the buildings East Midtown Plaza are in three different evacuation zones and that any of the buildings located on First Avenue are highly susceptible to flooding. The new hurricane maps, which were made available at the meeting, are also available online or zones can be found out by calling 311 and Greenwood said that although they’re not the most pleasant place, it’s important for residents to know where the evacuation centers are as well, which are also noted on the maps. “They’re just a giant room with cots and the food isn’t the greatest, but it’s good to know where they are in case you have to go,” he said. He added that pets are allowed in all of the evacuation centers and Baruch College is the closest handicap accessible facility that functions as an evacuation center. There are 10 facilities throughout the city that are handicap accessible and meet all the ADA requirements but Greenwood said they haven’t been noted on the map yet. Greenwood noted that one of the reasons for the changes in zones is money. 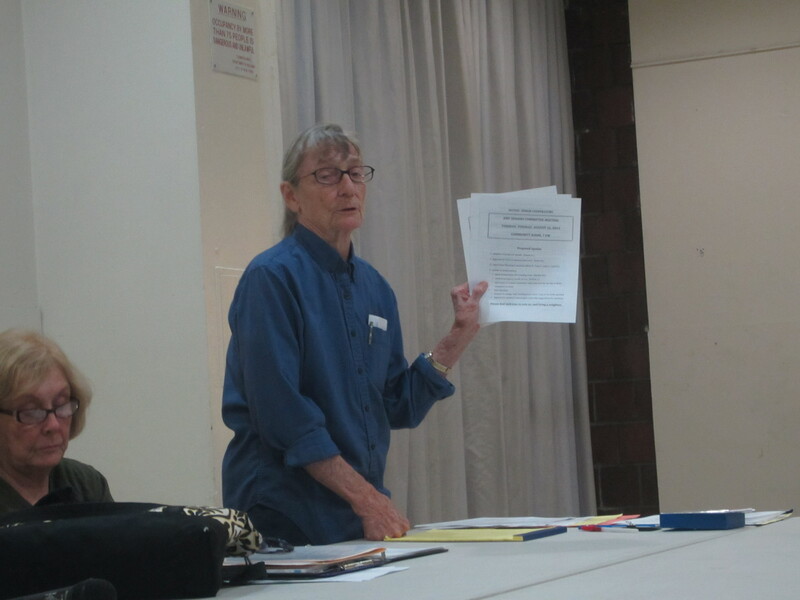 Greenwood also told the seniors at the meeting that it’s important to have an emergency plan and to fill out the “Ready New York” packets that detail important information for residents to have at hand in case of an emergency, like contact phone numbers and any medical conditions. “That’s beneficial for you because if you show up at an evacuation center with this guide, they’ll have all the information already and can give you the best care if you need help,” he said. So, to be concise: we are attempting to close the stable door as all the horses have left the barn. And the speed of the acceleration will continue to increase. Thank you global climate change deniers, It’s similar to putting a band aids on way after the hemmoraging has begun in earnest. Fin!